We Buy Houses Porterville - Sell Your House Today! We Buy Houses In Porterville! We Buy Houses Porterville, CA! We buy houses Porterville in any condition, pay cash, and close escrow as quick as you need to. If you need to sell a house in Porterville fast, this is a very quick and easy way to sell your house and get a great price and cash in your hands. When we buy houses in Porterville there are no real estate commissions or fees to be paid. We’ll buy your Porterville house in it’s As-Is condition, meaning you won’t even need to make any repairs. The process is simple and very fast. 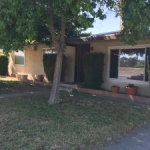 If you are looking to sell your Porterville house and don’t want to deal with people roaming in and out of your home, agents trying to twist your arm, or buyers asking for lengthy and costly repairs, iBuyHousesFresno.com can help you by making you a fair all cash offer. 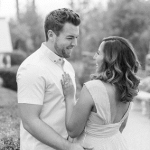 Hi, my name is Chris Williams, founder of iBuyHousesFresno.com. Together with my wife, we have been purchasing houses in Porterville and the surrounding Central Valley since 2010. iBuyHousesFresno.com is a family owned company that buys houses for cash in the Porterville area. We buy houses in Porterville from people just like you. We buy Porterville houses every single week of the year and we have helped hundreds of homeowners during difficult situations that have effected their lives. We buy Porterville houses in every situation including divorces, bankruptcies, houses with bad tenants, houses with squatters, properties that have too many repairs for the owner’s ability, inherited and probate properties, houses in preforeclosure, owners that are behind in property taxes, and many many more. If you would like to speak to us about selling your Porterville house fast for cash, just put in your contact info in the form or give us a quick call at 559-408-5977. First, we’ll speak with you about your situation and the house. If we think your property would be a good fit for our home buying program, we’ll make you a fair, all cash, no contingency offer to buy your Porterville home. Our cash offer is 100% guaranteed and no obligation. It’s all your choice if you wish to sell your house or not. We’ll never use pushy negotiation tactics, just straight to the point. Our home selling process is a pretty straight-forward and simple method we have used to buy several hundred houses in Porterville area. We buy Porterville houses for cash and help you avoid costly real estate agent fees and repairs. When we buy your house, you choose the closing date that best fits your need. We’ll close escrow in as little as 7 days. So the moment we come to a win-win agreement, you can have the peace of mind that your house is truly sold. Sell Your Porterville House at a fair price. Sell Your Porterville house hassle free, we buy houses with an easy process. Sell your Porterville house for cash, so there’s no waiting on banks or appraisers. Sell Your Porterville House As-Is, so you won’t make any repairs before closing. Sell your Porterville house and close quickly. We can close escrow in as little as 7 days. Sometimes sooner. Sell your Porterville house to a proven company! We’ve been buying Porterville homes since 2010 and have a long list of references of other local professionals if you need some peace of mind. Are you ready for us to buy your Porterville house? Sell your house for cash today! 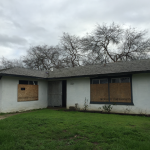 We buy houses in Porterville despite the condition… As-Is… let us take over the burden of that unwanted property. Selling a Porterville, CA home shouldn’t be difficult. iBuyHousesFresno.com makes it easy and convenient for you. We will assess your property and situation and make you a fair cash offer for your home. Many people that we work with have tried to sell their house on their own, but they are not attracting the right buyers. These buyers are very picky and most of the time need bank funding. The banks are also very picky with the buyers today and many do not qualify. It becomes difficult, time-consuming and frustrating. We solve that problem because we buy houses in Porterville with CASH…no bank financing. It can all add stress, months to the process, and in the end after paying the agent fees, you may or may not be ahead of the game. We pay fast cash for Porterville homes! No need for real estate agents and their fees.